In a small country town in the south of Brazil, the daughter of a wealthy farmer is brutally raped and left near a river. A mysterious young man arrives in Rio de Janeiro and starts to follow an attractive woman, with whom he stars a strange relationship. Brought together by unexplained circumstances these characters seem to be heading to the same fate. REVENGE is a suspense, but also the drama of a young man fighting against an honor code imposed by his own origins. At the same time he experiments a new and unexpected desire: writing his own destiny. Paulo Pons was born in 1974, in the Rio Grande do Sul city of Pedro Osório, third son among four children, in a family of Spanish and German ancestry. He studied journalism in the Catholic University of Pelotas, RS, and in 1995, graduated as actor in Porto Alegre. In his homeland, as a child, Paulo was a constant frequenter of Cine Esperança (today a soccer court), where it passed a different film each day, from Thursday to Sunday. His first job was as designer in a advertisements agency, at 16 years old. Right after, started writing commercial scripts and, at 17, directed his first commercial, in a campaign for a Volkwagem auto dealer. In TV, worked as reporter and newscast anchor, in TV Pampa of Pelotas. He was communication assessor of Agriculture Ministry, in Brasília, from 1999 to 2002, when moved to Rio de Janeiro, where started dedicating to cinema. In 2004, he made his first incursion in the seventh art with the film O Dono do Jogo. Considered more a aesthetic exercise than his first author’s play, Paulo didn’t released this film yet. In 2005, in a pioneer way, Paulo created the Pax/Riofilme Program for Extremely Low Budget Cinema, implemented in association with the carioca distributor Riofilme, during the presidency of José Wilker. The program had its official launching in July 7th, 2007. 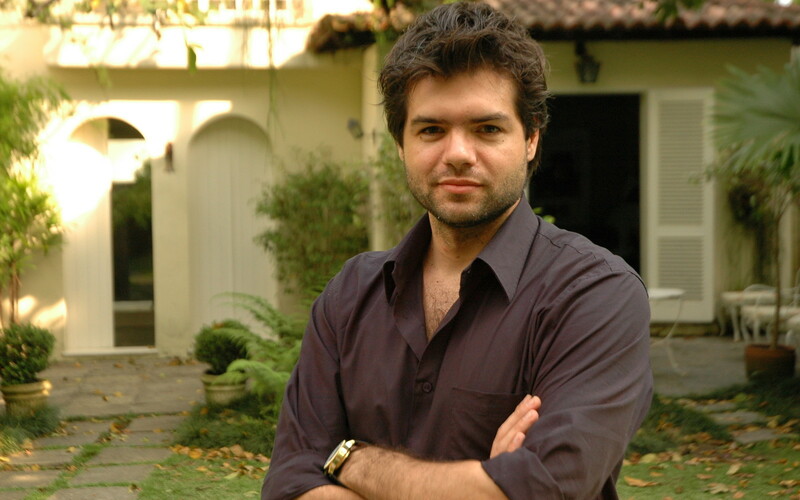 Paulo is founder and director of Pax Filmes producer, and has a crew of 11 persons. Vingança is the first feature film releasing from the experience of making films with different budgets, structure and support. In this work, selected for the 36rd edition of Gramado Film Festival, Paulo signs as screenplayer, director and producer.